Lutron Upgrade & Replacements - Technical Comfort, Inc.
Are you ready to upgrade or replace your home automation system? Our clients have plenty of reasons for wanting to upgrade or replace their current system with something new, and we’re very willing to help even when other dealers don’t want to try. 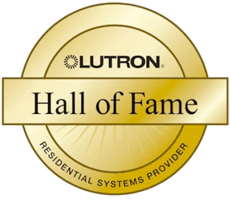 No matter what your situation, we can assess your current technology and show you all of the Lutron system upgrade and replacement options that can help you to enjoy your home again. Triggering lights, shades, and indoor climate by simply leaving or returning home. If your current system no longer meets your day-to-day lighting and home control requirements, then you might be a good candidate for an upgrade. Often, we can upgrade your system with new software, energy management strategies and new control options to give you the new features you’re looking for. Maybe you’ve just purchased a home with an older Lutron system. Or maybe the system you installed long ago is becoming more difficult and expensive to maintain. For example, are you having to replace lighting control system parts? Have you had difficulty (or been unable to) upgrade your software? Are you not able to set up the energy-saving strategies you need? Have you been told you will you not be able to control the LED lights you want to install? Whatever your situation, the best approach is to schedule a consultation with us, and we’ll help you determine if your current system can be made to do what you need, whether a software upgrade is the right approach, or if a hardware upgrade or replacement is the only solution. LiteTouch, a home automation company, was sold to another company in 2012, and then was killed off by that same company just three years later. If you have one of these systems, that leaves you in a difficult situation when a component fails or you need to add or maintain your system. Since the LiteTouch technology is quite old, no other manufacturers are producing parts for them. You could try trusting your home to used parts coming out of other homes, but they can be expensive and unreliable. There’s a better way: LiteTouch owners who call us usually choose to switch to Lutron. Because LiteTouch’s wiring was very different than other home automation systems, you can’t easily replace your LiteTouch system with another wired home automation system. But Lutron offers a smooth upgrade path with their UL Listed Retrofit Solution for LiteTouch Systems and industry-leading wireless technology, allowing you to upgrade without opening up your walls and running new wires. If you need to replace your LiteTouch system, give us a call. Our engineers will come to your home, evaluate your current system, and help you decide on the most cost effective and efficient way to move forward. If it turns out that replacing your Lutron system is the right path for you, your upgrade investment will allow you to enjoy a decreased cost of ownership through fewer maintenance requirements, lower operating costs, and greater energy efficiency. As Orange Country’s premier Lutron provider, Technical Comfort offers a full range of Lutron system upgrade and replacement services to guide you through each step of the process. We can conduct a comprehensive solution assessment and organize the technical and logistical elements of your project. During this intensive analysis, we will calculate upfront costs, long-term savings, and even utility rebates in order to present you with a realistic image of the available options. If you are considering a Lutron system upgrade or replacement, Technical Comfort is here to help. Whichever Lutron system you select, we will design the perfect upgrade for you, install it experty, and program it to work beautifully, just as you imagined.